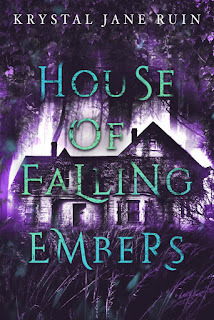 An Interview with Author Krystal Jane Ruin! 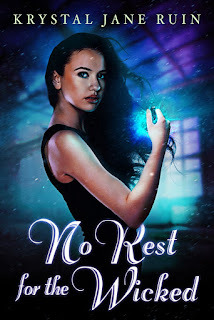 Today, I have a guest--brand spankin' new author Krystal Jane Ruin, whose debut novel No Rest For the Wicked was released on May 10th! Krystal and I have been blogging and writing friends for a few years now, so naturally, I wanted to interview Krystal a little bit about her book! No Rest For The Wicked is available at Amazon, Barnes and Noble, IndieBound, and tons of other places, too! So Krystal, your debut novel No Rest For the Wicked has been out for eleven days now! I finished reading it a few days ago! (Click here to see my Goodreads review) How does it feel to finally have your work out there? It’s really kind of weird! I’m excited, but I haven’t gotten used to seeing the book out in the world like that yet. I'm not going to ask you where you got your ideas from, because we writers all know that that's an impossible question. So: where did Tatum come from? Did she come to you fully-formed or did she develop along the way? I really enjoyed her voice. Haha. Ideas are a can of worms. Tatum came out of an idea I had for a group of traveling fortune tellers. There was a palm reader who couldn’t actually read palms, so she would just root around in people’s heads and mess with them. I thought she was really fun. So, Tatum showed up pretty well-formed. There were definitely things I didn’t know, but my characters drive the plot, so I have to know them pretty well. I loved how the characters are one thing at the beginning of the book and they twist and turn and grow as the story goes on. Just what you want characters to do! But those twists feel really natural to both the story and the characters. Was there one twisty aspect that was harder to write, create, or refine for you than the others? You know, some of the backstory actually gave me a bit of a hard time. Getting all the little details right took the most amount of work. And so much was riding on it! There’s a part where a door is kicked in, and I had no idea who was on the other side until it happened! That was really exciting. The book is set in Asheville, North Carolina. Why Asheville? I love Asheville! It has such a cool, laid-back vibe to it. I’ve been on a using real places kick, and Asheville had everything I needed: namely an awesome cemetery and the perfect atmosphere for the characters to live in. What about this story made you go, "All right. That's it. This is getting published."? Favorite thing! I actually found formatting to be kind of meditative, too. Haha. Two places where I got more info than I can handle are the Publishing Profits Podcast and The Creative Penn Podcast. They’re both available online, and feature a lot of interviews and indie world news. What's coming up next? Any more stories from this cast of characters or this story world or is it something else? I do have an idea for a companion sequel, but it’s still in “wait and see if it finds its way out of concept only” mode. I’ve never written a sequel before, so there are some walls to climb over. LOL! But next up I have a Swan Lake reimagining that I’m in love with! I’ve been wanting to do a retelling for years, so I’m way too excited to have one finally pan out. It’ll be out in November! 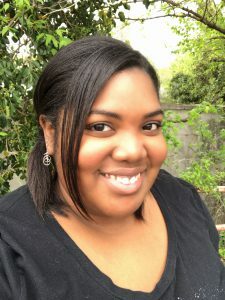 Krystal Jane Ruin is the author of supernatural and paranormal fiction, living in the Tennessee Valley with a collection of swords and daggers. When she's not hoarding stuffed pandas, hourglasses, and Hello Kitty replicas, she can be found drinking chai tea, knee deep in Sudoku, in a YouTube hole, or blogging about books, writing, and random things at KrystalSquared.net. Formatting is meditative? Lol! I'm going to have to give that a try. Congrats! Tatum is such a wonderful character! It *is* pretty meditative, actually.